You don’t want me to answer that question, do you? Well the point of revealing the real conversations that often happen in our Whatsapp group was intentional. I will reveal that later in my post. So don’t skip reading yet. 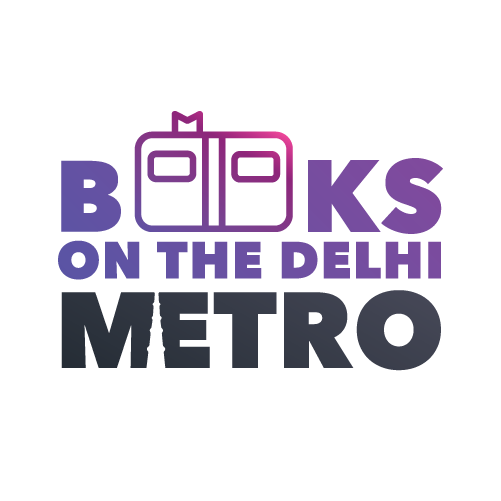 I dropped my first book as a Book Fairy on 22nd May 2017 and today, Books On The Delhi Metro has completed one functional year of spreading joy on Delhi rails. My friends often ask me- “How is Books On The Delhi Metro going?” I tell them it’s going great. I have the best people with me and we are one big bookshelf spread all over Delhi, just waiting for people to come and pick the books. My fairies had to stand for an hour waiting at the metro station because no one was interested in reading a book. Duh! We love our smartphones. My fairies just got thrashed by the metro staff for being a ‘threat’ to the security. Take this book with you, else I will throw it in dustbin. My fairies had to explain at length about the initiative to prove themselves innocent. Sir, this is an initiative aimed to promote reading among people. My fairies reached late to their office/exam because they really wanted to see the person who would be lucky to find a book on their commute. I really want to make someone smile today. Instead, I paint a picture where we are just happy. Happy that we hear so many appreciations over Twitter, Facebook, Instagram. Happy that we are the reason for someone’s smile. A bookish smile. Over a period of time, we have met so many people who have told us about their lost love for books. How the daily grind has pushed the books out of their life. They tell us stories about their Nandan, Champak days. And, it just makes my heart flinch in pain. But, the very next moment my chest swells with pride. Maybe, they’ll start reading again with this book. Maybe, they just needed a spark. Wishful thinking, I know. But that’s how I am. Abundantly optimistic. So, yeah, I was saying, I paint a happy picture for everyone. Because I know books can change your life. Books can breathe air into your suffocated mind. Books can take you on a thousand journeys; a journey into the mind of the author, to faraway places. Books can be your friends, your soulmate, your travel guide, your cooking partner, your secret lover…damn! the list is just endless! And I wouldn’t let anyone or anything come in between you and your magic. Trust me, I speak to all of you. I don’t know you but I feel you. I feel that person inside you who is waiting for a magical moment in their life to set everything straight. That moment; is vested in a book. And my fairies and I, we’ll not stop before you start feeling that magic in books. And that’s my request to all of you- lose yourselves in books. Start reading. Fill up and live. You’ll find every solution when you read. And next time you find a book on Delhi Metro, don’t hesitate to pick it up. You don’t think I would wrap it up soon? Come on! We just completed one year, I have my plate full of things to talk about. If the above ramblings looked like I am complaining about the hard work that we fairies do, then I am sorry. I didn’t mean to say that. We are more than happy to do that for you. Thank you is a small word for what you have done for me. Being with you on this journey has made me a better person. And you know what’s the most amazing part- Seeing your Instagram stories when you are hanging out as friends on a weekend. Because it means that if someday everything else falls apart, I‘ll be happy that I could bring you guys together, I’ll be happy that I managed to create a place where people have real human connections. And I did it with the thing I treasure most- Books. And trust me, it means a lot to me. So, THANK YOU. And HUGS. And KISSES. And we are still not done! I know what you’d say- You’re such a pain! I promise this one is last. Trust me when I say this- it wouldn’t have been possible without you. I remember the first thought that came in my mind when I was planning for this initiative. Will Indian authors/publishers support me? Will they help us? Would they be able to do it without any ulterior motives? How will I manage if they say no to this stupid initiative? And you shattered all of them. Thank you for giving Delhi a chance. I hope we bring the change. Thank you for such an overwhelming response. May we grow stronger and better each day. We hope you get to pick this book with us. Tell us what you liked most about this book. We’ll be dropping two copies of this book by the end of May. We hope you get to pick it. What does it mean to be a middle-class Muslim kid in India today? Talking to over a hundred children and their parents across twelve cities, Nazia Erum uncovers stories of religious segregation in classrooms and rampant bullying of Muslim children in many of the country’s top schools. So, join us and pick the book with us. Read along and stay tuned for the book drop towards the end of this month. March is the month when Internation Women’s day falls (March 8) and we were sure we wanted to put a book on our shelf which deals with women. Undoubtedly, Small acts of freedom was our first choice. Gurmehar Kaur’s memoir Small Acts of Freedom is a deeply personal work of nonfiction that tells the story of three generations of strong single women in her own family. “When people ask me where I gather strength from, I cannot just point at one incident. My story does not start with me,” says Kaur. If you are enamored by her already, pick the book with us and start reading with us. We’ll be dropping this book by the end of this month. One of the most enduring divas of Hindi cinema, a producer and director for films and television, dancer and choreographer par excellence, magazine editor, an active member of Parliament and now a singer, Hema Malini wears many hats with admirable ease. No other industry name comes close to matching the breadth of her achievements. In an industry where the male star has traditionally driven the commercial success of films, Hema was an exception, with her name alone sufficing to ensure a film’s box-office glory. She was, arguably, India’s first female superstar. Apart from starring in mainstream super-hits, she received critical acclaim for her performances in Lal Patthar, Khushboo, Kinara, Meera, Ek Chadar Maili Si and Razia Sultan. But there is much more to her than just her Bollywood journey. From her efforts at reviving and sustaining classical dance to her graceful handling of her personal life and the controversies that have plagued her in her political avatar, from her relationships to her religious beliefs and her recent tryst with singing, Hema Malini: Beyond the Dream Girl covers it all. With detailed interviews and exclusive anecdotes from her family, friends and co-actors, this is an inside look at the remarkable life of one of our greatest cinema icons, someone who has truly lived life on her own terms. Pick this book with us and start reading. Or, stay tuned with us when we drop this book by the end of this month.